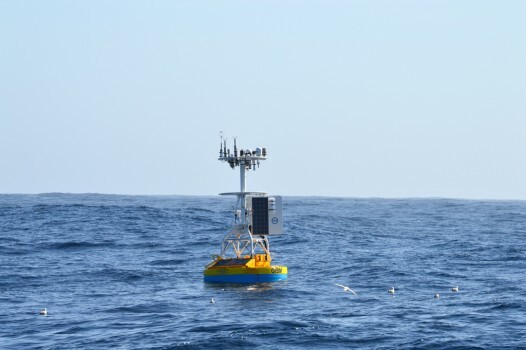 The Bulk Meteorology Instrument Package measures a variety of parameters that characterize weather conditions above the sea surface, including the data required to compute air-sea fluxes of heat, freshwater, and momentum. 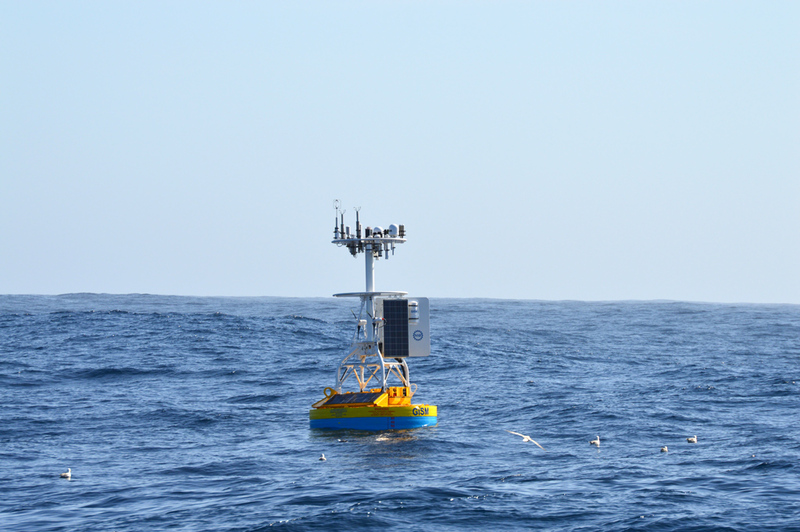 There are two data streams from this instrument: one for Level 1 (L1) surface meteorology data products (Relative Humidity, Air Temperature, Barometric Pressure, Mean Wind Velocity, Precipitation, Downwelling Shortwave Irradiance, Downwelling Longwave Irradiance, Sea Surface Conductivity, and Sea Surface Temperature), and one for Level 2 (L2) Bulk Flux products computed from the L1 data observations. The air-sea flux of heat is the sum of five separate heat fluxes: latent heat flux, sensible heat flux, net shortwave radiative heat flux, net longwave radiative heat flux, and rain heat flux. The air-sea flux of freshwater is the difference between rain and evaporation. The air-sea flux of momentum is the vertical transfer of horizontal momentum from the air to the ocean and is also called the wind stress.